Have you ever found yourself browsing the internet for hours? When losing yourself in cyberspace you might have noticed that people are crazy about cats! Seriously! The week starts with Meow Monday, building up to Caturday – yes, Cat Saturday, and even Conscious Cat Sunday. Follow @RealGrumpyCat on Twitter, waste countless hours on LOLCats.com, or post 17 pictures of your own feline fur ball, each with a different filter of course, and tag them #CatsOfInstagram. We are OBSESSED with cats and the ASPCA estimates about 1/3 of Americans have a pet cat. Even if you don’t have a cat, you know someone who does. Cats are irresistible! Kittens are so cute, fun to play with, and provide endless hours of entertainment. Adult cats are pretty much the same. They can be adorable, aloof, annoying, and sometimes all three things at the same time. Love’em or hate’em, there’s no denying cats have their quirks! As popular as cats are, sometimes, they are also very misunderstood. Nature vs. Nurture does not apply to cats. New research of cat genomes reveals that, “Cats, unlike dogs, are really only semi-domesticated.” Behaviors used to help cats survive in the wild still remain in domestic cats today. Humans started domesticating cats around 10,000 years ago because of their hunting skills and ability to keep mice and other small animals away from people and their stored food. Even though our reasons for having cats may be different now (someone has to film all those cute kitty videos and upload them to YouTube! ), cats themselves haven’t changed much. Cat food is made to meet all of a cat’s nutritional needs, but a cat’s desire to hunt is basic instinct. Even if you offer them everything in a pretty little dish, your cat(s) may still feel the urge to hunt for fresh meat. Cats hunt for more reasons than a way to get lunch. 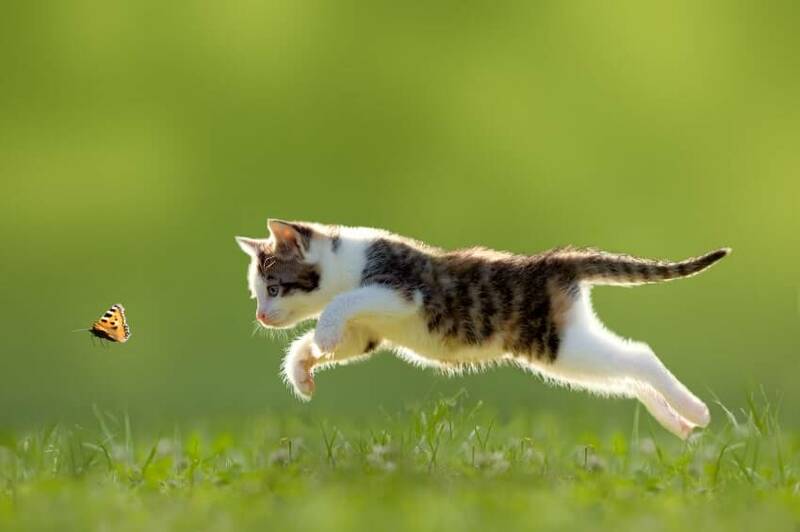 For a house cat, stalking and pouncing on small animals or bugs can be entertaining. Watching a cat trying to jump and catch a fly that keeps buzzing around overhead can be fun and pretty funny for people too! If your cat is leaving small animals or bugs as “gifts,” try not to get too upset. This is how momma cats teach their kittens to feed themselves; first Mom brings her babies dead prey to eat. After have they learned to eat the food she’s hunted, she starts bringing it home injured so they can practice catching it before they eat. This goes on until they learn to feed themselves. When your cat leaves you a “gift,” they probably think you might not be bright enough to catch your own for dinner and is just trying to do you a favor! If you’re lucky enough to share your home with a cat, then you understand the importance of catering to your cat’s needs. Indoor cats need places to hide and play. If cats can’t engage in natural behaviors such as climbing, jumping, stalking, pouncing and scratching, they may develop health problems. International Cat Care offers a great resource with ideas about the best ways to offer food, water, exercise and entertainment for your cat. 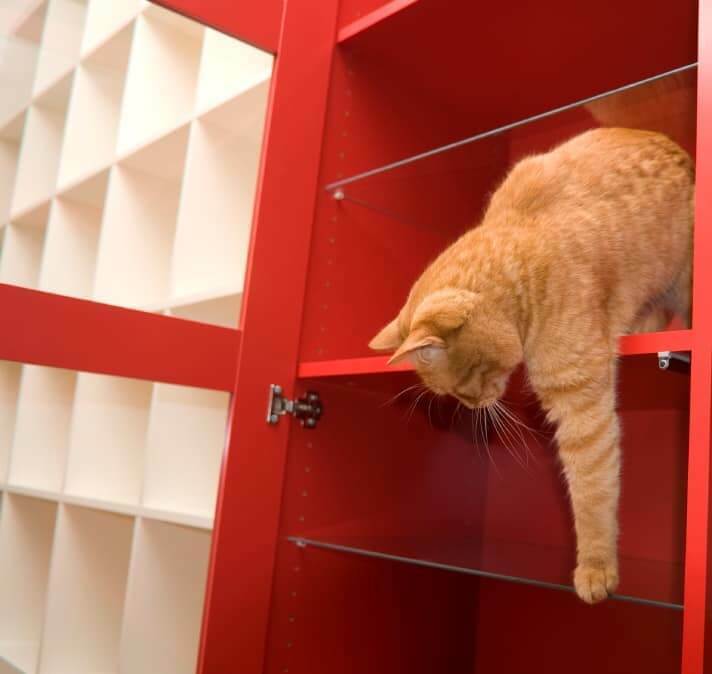 When making sure your home is cat-friendly, you also have to make sure the environment is safe for your feline friend. Household chemicals, cleaning products, medications and even some plants like lilies, mistletoe, holly and ivy are dangerous for cats and result in calls to the Pet Poison Helpline. Another risk to all animals is the use of anticoagulant rodenticides, or rat poison. 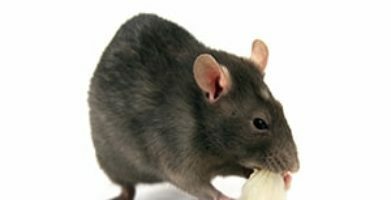 Rat poison and baits are just as deadly to other animals as they are to rats and mice. Designed to look and smell tasty to rodents, other animals often find them appealing too. Even if your cat has no interest in the rat poison, if they eat a rat or mouse that has eaten the poison the cat will suffer the same effects. Play mice and natural pest control will keep you from picking up gory “gifts” around the house while ensuring your cat’s safety and an effective solution to preventing pest problems in your home. Keep this information in mind and embrace your cat’s wild side! 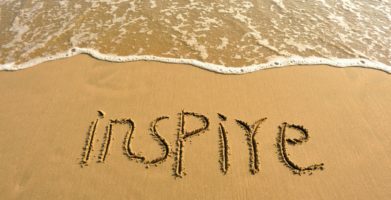 Have you ever found yourself browsing the internet for hours? When losing yourself in cyberspace you might have noticed that people are crazy about cats! Seriously! The week starts with Meow Monday, building up to Caturday – yes, Cat Saturday, and even Conscious Cat Sunday. We are OBSESSED with cats and the ASPCA estimates about 1/3 of Americans have a pet cat. Even if you don't have a cat, you know someone who does. Cats are irresistible! Love'em or hate'em, there's no denying cats have their quirks! As popular as cats are, sometimes, they are also very misunderstood. New research of cat genomes reveals that, “Cats, unlike dogs, are really only semi-domesticated.” Behaviors used to help cats survive in the wild still remain in domestic cats today. Humans started domesticating cats around 10,000 years ago because of their hunting skills and ability to keep mice and other small animals away from people and their stored food. Even though our reasons for having cats may be different now (someone has to film all those cute kitty videos and upload them to YouTube! ), cats themselves haven't changed much. Cat food is made to meet all of a cat's nutritional needs, but a cat's desire to hunt is basic instinct. Even if you offer them everything in a pretty little dish, your cat(s) may still feel the urge to hunt for fresh meat. If your cat is leaving small animals or bugs as "gifts," try not to get too upset. This is how momma cats teach their kittens to feed themselves; first Mom brings her babies dead prey to eat. After have they learned to eat the food she’s hunted, she starts bringing it home injured so they can practice catching it before they eat. This goes on until they learn to feed themselves. When your cat leaves you a "gift," they probably think you might not be bright enough to catch your own for dinner and is just trying to do you a favor! 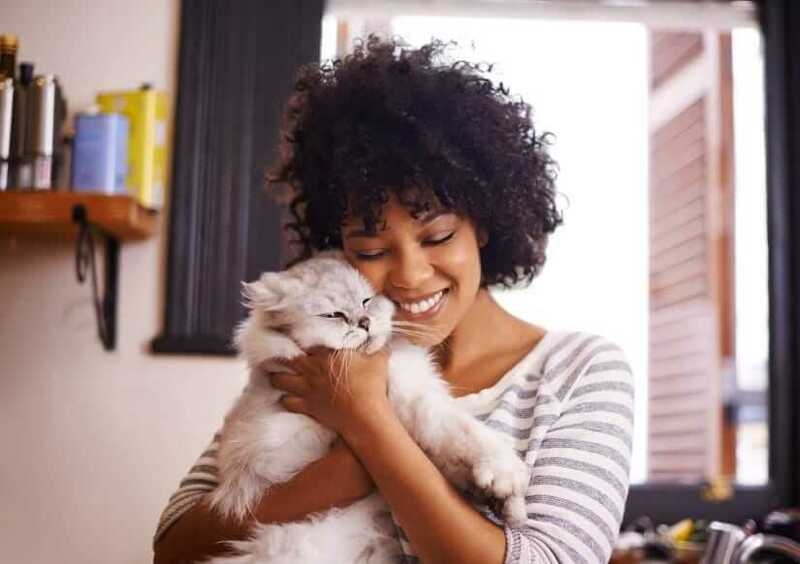 If you're lucky enough to share your home with a cat, then you understand the importance of catering to your cat's needs. Indoor cats need places to hide and play. If cats can't engage in natural behaviors such as climbing, jumping, stalking, pouncing and scratching, they may develop health problems. 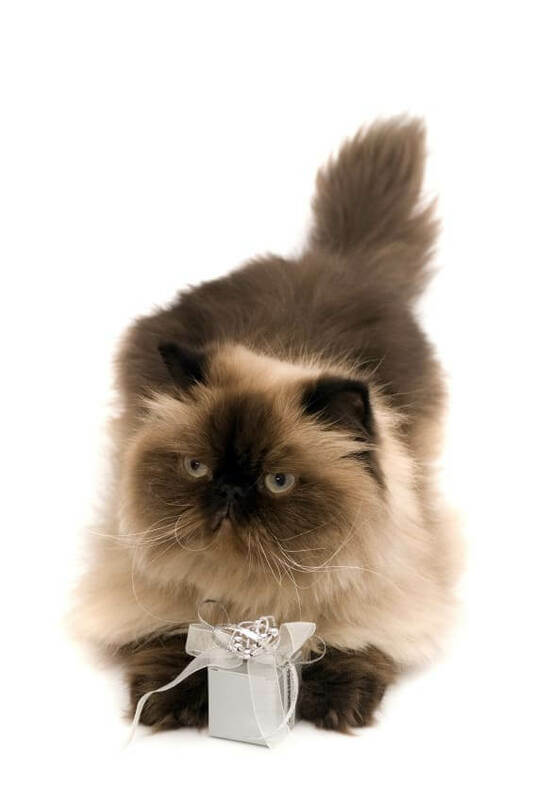 International Cat Care offers a great resource with ideas about the best ways to offer food, water, exercise and entertainment for your cat. Another risk to all animals is the use of anticoagulant rodenticides, or rat poison. Rat poison and baits are just as deadly to other animals as they are to rats and mice. Designed to look and smell tasty to rodents, other animals often find them appealing too. Even if your cat has no interest in the rat poison, if they eat a rat or mouse that has eaten the poison the cat will suffer the same effects. Play mice and natural pest control will keep you from picking up gory “gifts” around the house while ensuring your cat's safety and an effective solution to preventing pest problems in your home. Keep this information in mind and embrace your cat's wild side! string(50) "Mouse "Presents" and Other Cat Behaviors Explained"